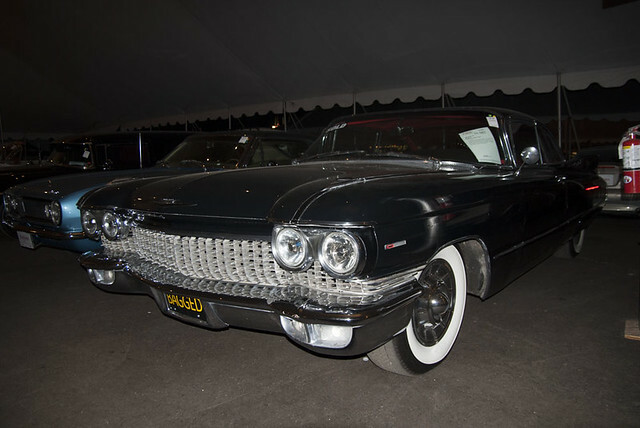 Last night I had the honor of going to the Barrett-Jackson auction in Scottsdale Arizona. It is the second time going for me and first time bringing a camera. Last year their website said no cameras so I only had my IPad with me. A few hours before going I hit them up on Twitter and they gave me permission to bring a camera. I guess they eased up on the rule of no cameras. 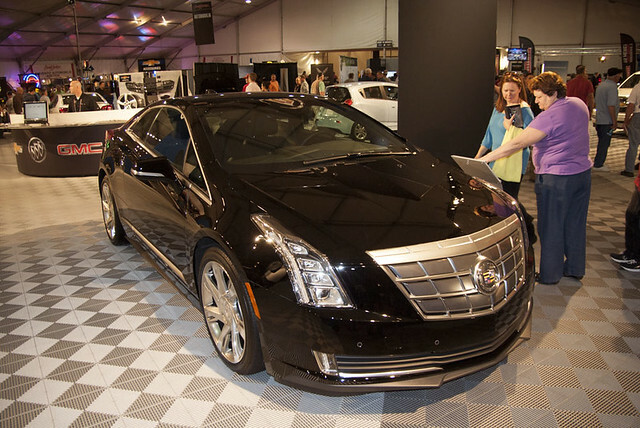 Below is the new Cadillac ELR which my girlfriend Debbie and her daughter Liz liked. You can see them showing me where it plugs in. 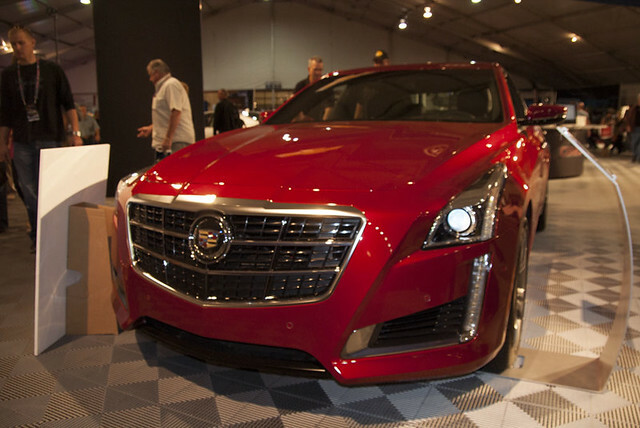 Of course they had the new 2014 Cadillac CTS VSport Twin Turbo on hand. 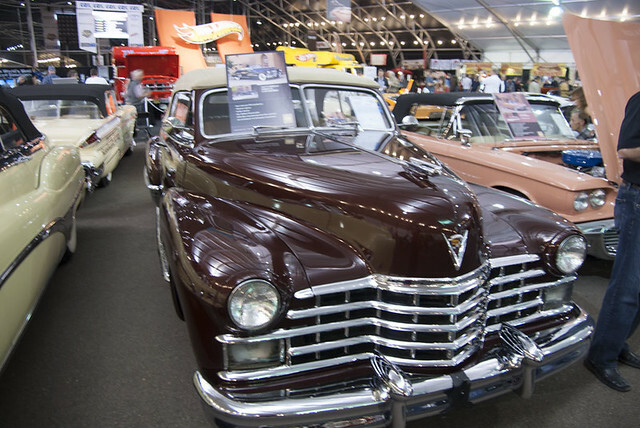 If you have never been to a Barrett-Jackson auction it isn’t all about the older cars that are being auctioned off. Most car companies have their new models to show off. As I got closer to the stage there was a charity car that was being sold that went for around 200k. 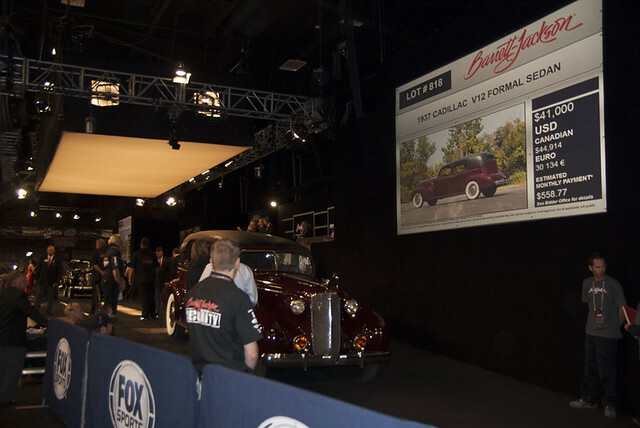 The next car up was a 1937 Cadillac V12 Formal Sedan that only went for 40k or so. It was easily a steal at that price but everyone was so caught up in the charity excitement this one got a new home for a great price. My favorite Cadillac was also represented. 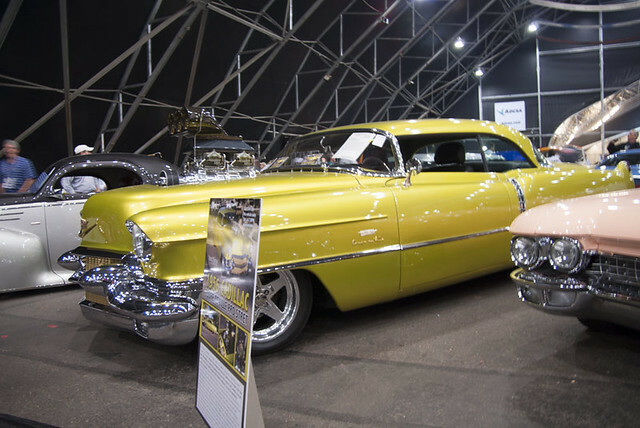 I don’t know why the 1957 Cadillac Eldorado Biarritz convertible appeals to me so much. This one was white with a black top and such a delight. 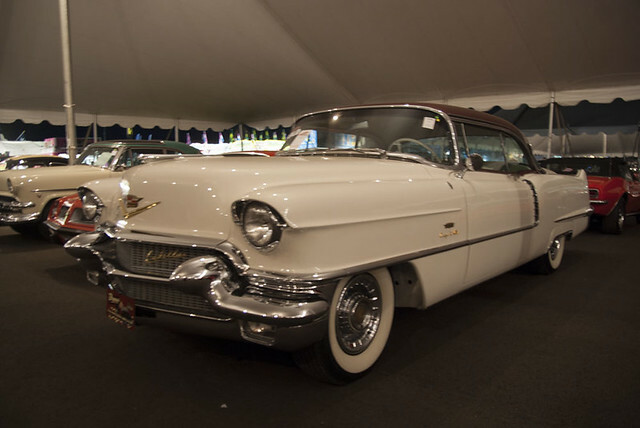 There were also some custom ones like this 1956 Cadillac. Check out the huge engine in it. I can say I was liking the color but not the engine. After going through the main tent I went outside where they have 4 or 5 other tents that don’t have sides. This 1960 was getting dusty. 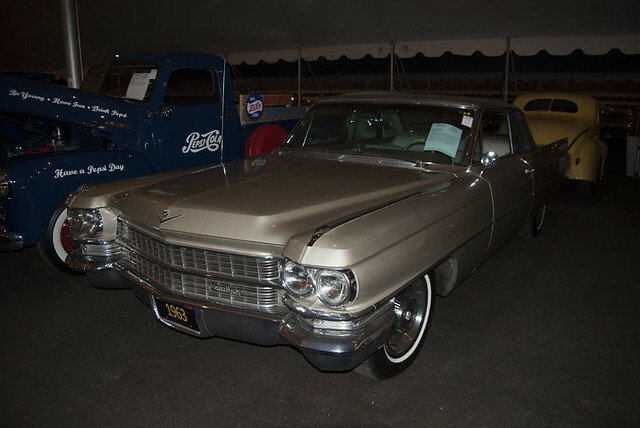 1963 Cadillac – Not as nice as the 63 that comes to the Resorts show back in NY but still nice. Don’t know what year this is. I want to say a 1956? If anyone can figure it out leave it in the comments. 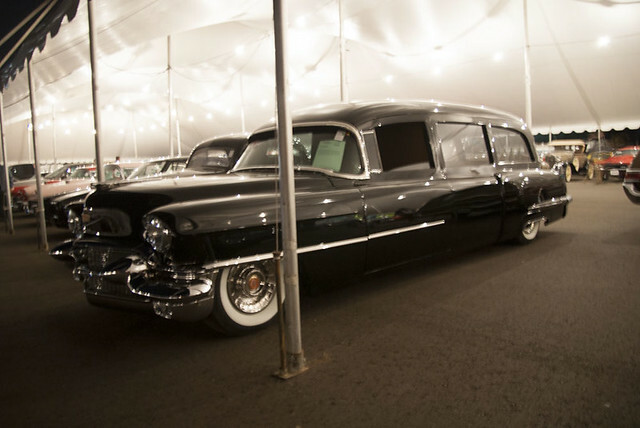 Of course there were a few pro cars like this custom Cadillac Hearse. It had a huge wrap around sofa in the back. 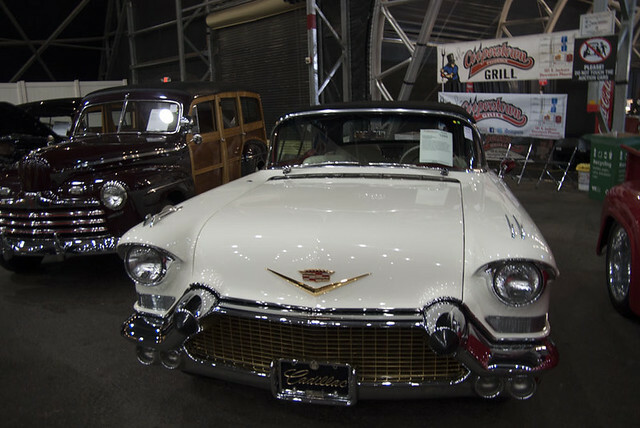 You can see the rest of the photos on our Cadillac Flickr account. While you are at it ad me as a friend over there so you get to se what I upload right away. Over the next few days I will be sending a few more emails than usual. I was at the Auto collection show at the Quad casino (Formerly the Imperial Palace) and took some pictures. I am also working on figuring out a misfire in Liz’s 2008 Saturn Astra that has me going crazy since I am not use to working on the new cars. I also don’t have many tools out here in Arizona. I am also going to give you an update on our NY house. It is 99% rebuilt but now we have a bigger battle with Flood insurance. I may do that update as a podcast too because typing it out I am sure I will miss something. You’re right – that’s a ’56.